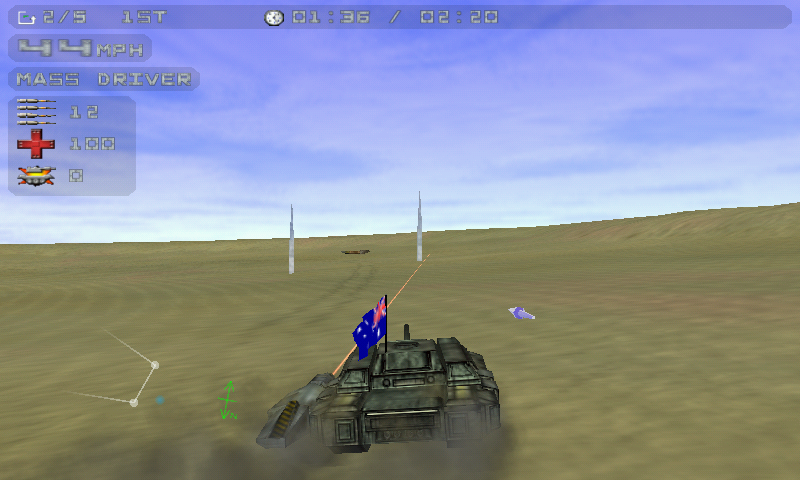 Multiple single-player game play modes including instant races, ladder racing, and destruction derby style deathmatches against computer controlled tanks. 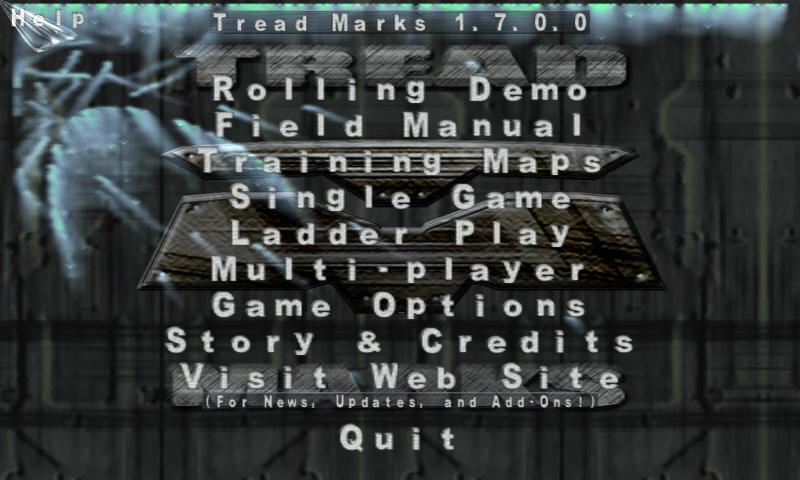 Here is Tread Marks, the open sourced Tank Racer. 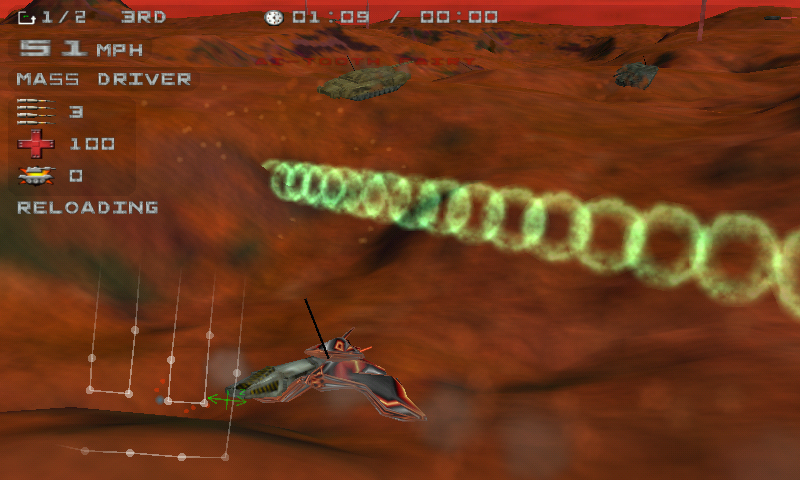 This game is a Linux port of the Windows game that has been open sourced (it was a commercial game). It use gl4es for graphic, and can be a bit intensive, so you may need to go in the Graphic options of the game and lower the details. The nubs are setup as Joystick on Left and Mouse on Right, Left/Right clicks are on the shoulder buttons. You can change default nub assignment by modifying the 2 files ".leftnub" and ".rightnub" in the appdata/treadmarks/ folder. They compile and run on Linux 32bits, but not on 64bits yet.